A herd of buffalo can move at a deceptively fast pace, even when they are just walking. 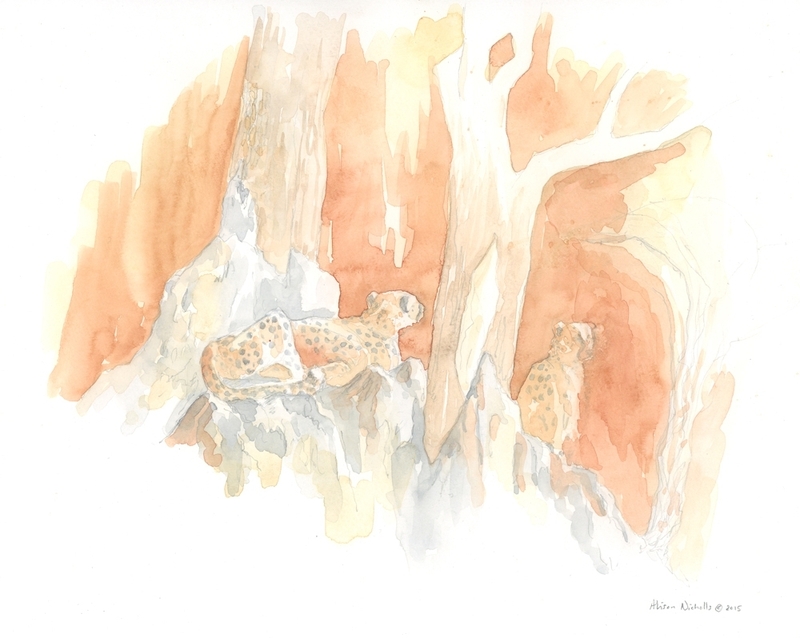 When you are trying to sketch them, the pace seems even faster and the herd that was beside you, are now just back-ends disappearing into the bush. Angles change, perspective changes and before you know it they are gone.This is why I find it helpful to really know the animals I am sketching, so I can get the basics down on paper faster than they are walking. When I added watercolor to this sketch, I chose a large brush and a bold color scheme – my favorite painting method! 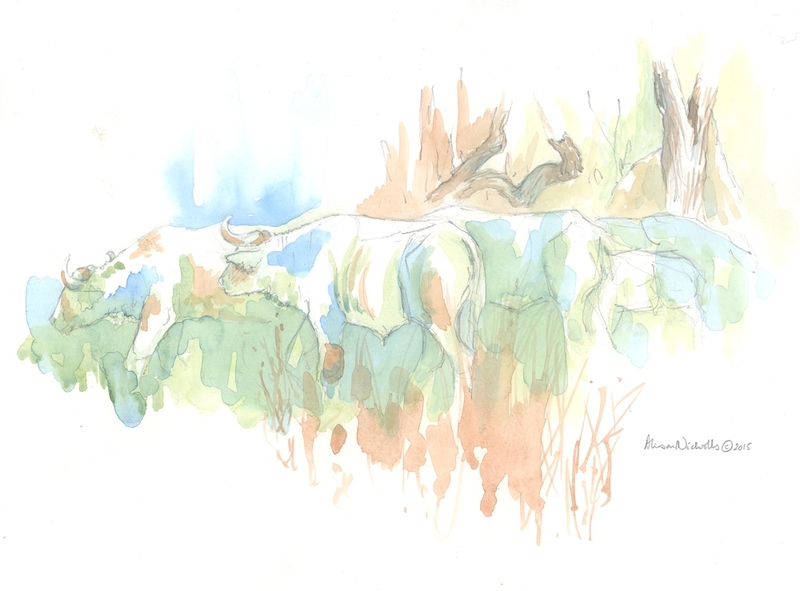 This entry was posted in African Wildlife, Blog Posts, Field Sketches, For Artists, Watercolors and tagged #africanwildlifesketch, alison nicholls art, buffalo sketch, buffalo watercolor on November 15, 2015 by Alison.